In the UK, the John Lewis Partnership has declared its goal to reduce operational greenhouse gas emissions to net zero by 2050 at the latest, without purchasing offsets, in line with the pathway set by the Intergovernmental Panel on Climate Change (IPCC) to limit global warming to 1.5C. Biomethane-powered trucks will are a significant component of the company’s sustainability strategy. To reduce transport emissions, which contribute over 40% of its overall carbon footprint, the Partnership has set an ambitious target of zero carbon fleet by 2045. 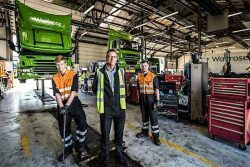 It has already started rolling out new biomethane-powered heavy trucks, which emit over 80% less CO2 than standard diesel alternatives, and aims to switch its entire fleet of over 3,200 vehicles to zero-emission vehicles. The heavy trucks will be switched to biomethane by 2028. Waitrose operates the Scania P-340 with biomethane. The Partnership will also be assessing emissions impact outside its operations, with the aim of setting further targets for emissions reduction in its supply chain, aligned with the goals of the Paris Accord. It already carries out assessments of its Waitrose & Partners fresh produce, livestock and farmed fish supply chains, looking at a range of aspects including water use, biodiversity and waste and energy. The Partnership has commitments to source key raw materials sustainably and has set ambitious targets to reduce plastic waste. 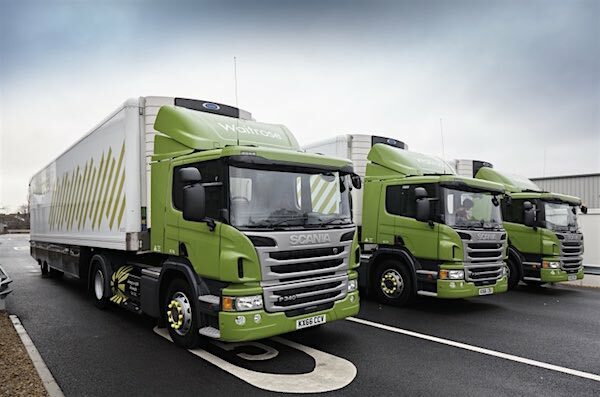 The Waitrose fleet already operates trucks that use renewable natural gas (RNG) / biomethane. The John Lewis Partnership owns and operates two of Britain’s best-loved retail brands, John Lewis & Partners and Waitrose & Partners.